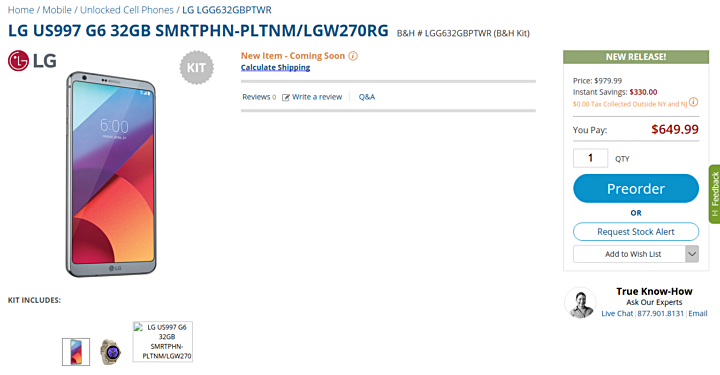 If you are in the US, and are planning to purchase the unlocked variant of the LG G6 flagship smartphone, here's a deal for you: retailer B&H Photo is offering a free LG Watch Style with each pre-order of the device. The Rose Gold color variant of the smartwatch is on offer, and it normally costs $279. You can now get the smartphone as well as the timepiece for $650. There's currently no word on when shipments will begin - the listing just says the unlocked model is "coming soon." Yes, for those in the US, the deal is pretty worth it. Got nothing better or accessories to offer so they keep offering their tvs, smartphone and smartwatch with G6 preorders. So, LG, what happened to LG friends? Why dont you give people the 360 camera or LG VR for free instead?